Municipal electricity aggregation is a form of group electricity purchasing. In an electricity aggregation, your City or Town government uses the bulk purchasing power of the community to negotiate a contract with an electricity supplier on behalf of residents and businesses. As part of that, your local government determines the price and the renewable energy content of your electricity. Electricity aggregation replaces your electricity supplier, and it impacts the Supply portion of your Eversource or National Grid electric bill. But electricity aggregation does not replace Eversource or National Grid as your electric utility. Electricity delivery: Eversource’s / National Grid’s primary role as your utility is to be your electricity delivery company. They deliver electricity to you, maintain the poles and wires, and address power outages. They charge you for these services on the delivery part of your electricity bill. Electricity supplier: For most people, Eversource or National Grid also provides a second service, which is as an electricity supplier. They purchase electricity on your behalf and charge you on the supply part of your electricity bill for the amount you use. When your utility is your electricity supplier, you have what is known as Basic Service. With Sharon Power Choice, Eversouce or National Grid will remain your electric utility. They will continue to deliver electricity to you, maintain the poles and wires, and address power outages. But they will no longer be your electricity supplier. 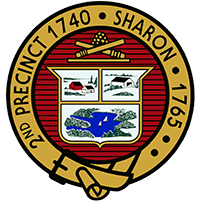 Instead, the Town of Sharon will select a supplier, and the price that the Town negotiates will be used to calculate the Supply portion of your electricity bill. Additionally, your electricity will include more renewable energy than Eversource or National Grid currently supplies. The program price will be used to calculate the Supply portion of your Eversource or National Grid electricity bill. You will continue to receive one bill from Eversource or National Grid – whichever you receive now. This is the only electricity bill you will receive as a participant in Sharon Power Choice. You will continue to call Eversource or National Grid if your power goes out – whichever you call now. If you receive net metering credits from solar panels or from community solar on your electricity bill, those credits will continue to appear and will continue to be calculated on your utility’s Basic Service price, not on the program price. If you are eligible for a low-income discount, you will continue to receive that discount. If Eversource is your electric utility but you have your own contract with a third-party electricity supplier at the time the program launches, you will not be automatically enrolled in the program. However, you will be able to join the program if you wish. 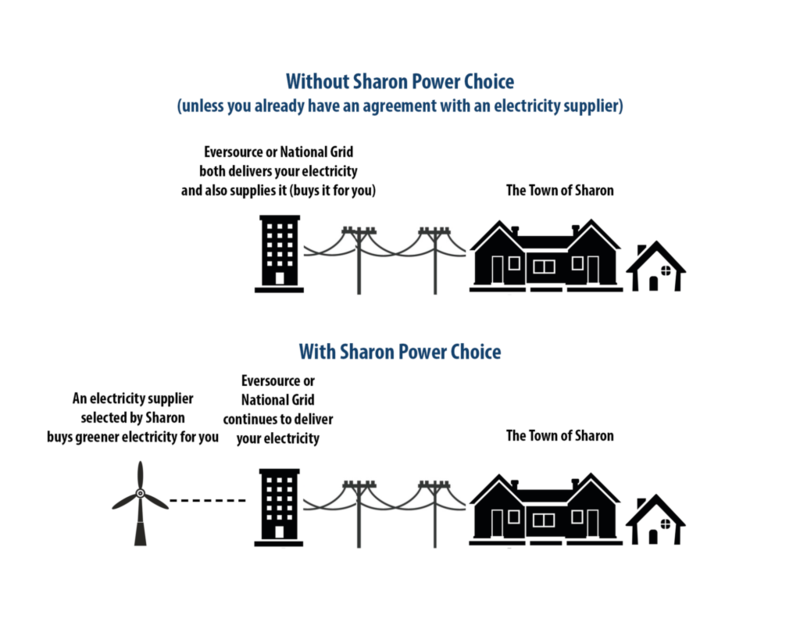 If National grid is your electric utility, you will not be automatically enrolled in Sharon Power Choice. However, you will be able to join the program if you wish. Any household and business that will be automatically enrolled will receive an informational letter in the mail approximately one month before the enrollment occurs. If you do not wish to participate, you may opt out before being automatically enrolled or any time after enrollment, with no penalty. If you choose to opt out, Eversource will continue to be your electricity supplier, and the Supply portion of your electricity bill will remain on the Eversource Basic Service rate.